The Agena Gemini Target Vehicle (GTV) is a replica of the upper stage of the same name used to test docking in low Earth orbit during the Gemini program. This version is able to fulfill two roles at once - the Jr-size docking port is able to act as a decoupler for all your small satellite/probe needs. 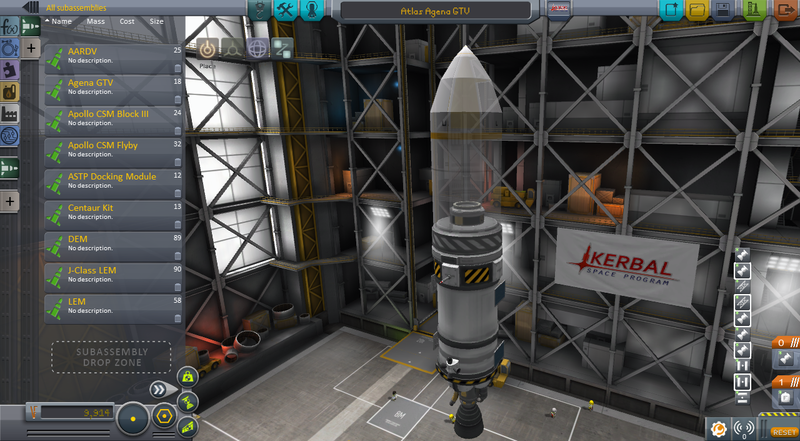 Plays best with the Mercury Atlas (remove the Mercury capsule before use) and Ranger probe.